There are not many international peer to peer lenders based outside of the U.S. that allow you to be involved in both U.S. and international opportunities in Europe as well. This is why Funding Circle, probably the largest crowd funding investor in loans, is unique. With this platform, you can make loans to small businesses throughout the U.S. and in several other countries in Europe. Funding Circle is not exaggerating when they claim to be the world's largest and market leading small business loan marketplace; they have the statistics to prove it. They and their crowdfunding investors have lent out over $1.5 billion to an astonishing 12,000 business found throughout the UK, US, Germany, the Netherlands, and Spain. Businesses interested in obtaining funds from this Goliath of the peer to peer lenders are able to borrow directly from an incredible assortment of over 43,000 individuals, local councils, the British government, a range of financial entities that participate, and even a university. Funding Circle's U.S. division proudly calls itself a crowdfunding company making loans to small businesses that itself evolved out of the small business world. The Co-founders in the U.S. operated small businesses before working with Funding Circle to open up the American operation. Obviously this strategy is working out for them; so far in the U.S. and four other European nations, an eye-watering more than 15,000 loans have been funded. Co-Founder and CEO Samir Desai manages the daily operations of Funding Circle and oversees the company strategy and operating finances. Before he participated in the co-founding of Funding Circle, Samir worked as Executive for Olivant, a European, Asian, and Middle Eastern financial services private equity investor, and at BCG as management consultant advising global and British insurers and banks. Co-Founder and Chief Operating Officer for Continental Europe Christian Grobe handles all of the day to day sales, credit, and marketing operations in Continental Europe for Funding Circle. Previously he served as CEO and co-founder of Zencap and as a project manager at McKinsey & Company over six years. Co-Founder and U.S. Managing Director Sam Hodges oversees all of the daily and strategic operations of the U.S. division of Funding Circle. This division opened in 2012 and has expanded exponentially to become the world's biggest online marketplace that is solely devoted to small business types of loans. Before working to co-found Funding Circle USA, Sam worked as SecondMarket's VP of Business Development at this leader in alternative investments. Sam also served on the investment team for Pequot Capital, the $8 billion global fund manager, covering information services and financial technology investments. Co-Founder and Managing Director for Continental Europe Matthias Knecht oversees the daily operations and strategy for Continental Europe's Funding Circle. Before his help founding Funding Circle, he co-founded and served as CEO for Zencap, Continental Europe's quickest growing online lending market. Co-Founder and UK Managing Director James Meekings handles both customer experience and marketing for Funding Circle. He served as the Senior Consultant for OC&C Strategy Consultants advising leading international firms on efficiency, new product development, and strategy before coming to help start Funding Circle. Funding Circle focuses solely on loans to small businesses. They have been so very successful in part because they feature fair interest rates that start as low as 5.49% APR, offer an easy and quick application process, and do not deceive with any hidden fees. Their loans range in value from $25,000 minimum to as much as $500,000. This is a true small business loan product offering that they handle and fund like a peer to peer lender. Businesses that are interested in applying for and successfully qualifying for a Funding Circle loan must possess a 620 credit FICO score, have a minimum two years in business, and demonstrate an over $150,000 in revenues or sales the last year. After submitting additional documentation that the underwriters request, the loan is approved and funded within as little as five to no more than 14 days. Interest rates are dependent on the level of creditworthiness in the FICO score results. Rates range from approximately 6% for excellent credit to about 20%. Funding Circle is charging considerably less at its top tier of 20% than many traditional lenders offer at sometimes in excess of 30%. There is a 2.99% origination fee (for companies that work with Funding Circle directly) that is similarly less than what many rivals charge. Loan repayment terms vary from one to up to five years. Loans that Funding Circle make are different from many other crowdfunding platforms in that these are always secured loans. The company gets a lien on business assets and personal guarantees from the principal business owners. Collateral is always supplied in the form of vehicles, equity in a house, accounts receivable, equipment, deposits, or cash savings. Invest in American Businesses – You can invest directly into American small businesses without running afoul of typical complicated issues and costs that most financial companies would present, so long as you are an institutional or accredited investor. Access to Secured Small Business Loans – Lets you browse through at your convenience a large assortment of loans that the Funding Circle credit professionals underwrite with their proprietary data analysis. Choose from Loans Yourself – The platform gives you access to all of the important loan information as well as Notes that pertain to your areas of investment interest. Build up a portfolio – After analyzing various loans, you can select the ones you wish to fund and then build up a well-diversified loans portfolio or buy notes. Track Your Performance – Online you can follow your interest payments and monthly principal repayments. Automated Investing Option – By selecting your personal criteria for investing, you can have the platform build up a portfolio for you that meets your requirements without having to invest hours and hours of time. Diversification – spread your investment dollars over a large number of businesses to reduce the risk of any single entity defaulting. This means you put a small dollar amount in each business loan you fund or note you buy. Retirement Investing – You may invest with either Roth IRAs or Traditional IRAs in the company's small business loans. Estimated Returns Projection – Funding Circle calculates the current annual return estimate every day using today's average small business loan interest rates and subtracting the appropriate failed loans percentage plus the servicing fee to tell you today's estimated return. At time of publication, this was a 7.2% APR return. Funding Circle is unusual again in that it has multiple offices on two continents. Their U.S. headquarters are in San Francisco, California at 747 Front St., Floor 4,San Francisco, CA 94111. Global operations are based in London, Great Britain at Funding Circle Ltd, 71 Queen Victoria Street, London, EC4V 4AY. Investments with Funding Circle are not guaranteed. This is why they say that only accredited investors may participate, as they represent individuals who are strong enough financially to take on the risks of defaults and loss of principal, of long term illiquidity, and longer term commitments financially. The company alerts investors to the possibility of losing your entire investment, however unlikely this may be. Funding Circle makes every effort to safeguard your private data. To this effect, they never sell or share your information with any other entity. They protect your financial information with industry standard SSL 128 bit encryption protocols like a bank or other investment broker would. The Better Business Bureau rates Funding Circle with an A+ rating based on its amount of time in business, low complaint volume for a company of its impressive size, response to the 5 complaints filed against them, and successful resolution of all complaints that were filed. In the past three years, five complaints were filed and closed, all five of these within the last twelve months. For a company of this size and strength, we were surprised by the apparent lack of serious concern for good quality customer support. Calling the company resulted in having to be transferred to an account manager to get our questions answered. Emailing their customer support to ask some general questions from the take of a potential borrower turned up no response. Their website is extremely informative and helpful in going through the processes of borrowing or investing and includes several prospectus-type downloads. Borrowers pay Funding Circle an origination fee for every loan that they actually fund. This varies from a low .99% to as high as 4.99% for anyone who works with them through an affiliate. The strength of credit determines how high the origination fee will actually be. There are no fees besides these and the interest rates on the loans. For investors, there is a single simple account maintenance service fee. This is 1% annually, and it is deducted out of the loan repayments that come in on a monthly basis. If no repayments are received, no service fees are taken out at that time. Funding Circle is a revolutionary pioneer in the small business loan sub-sector of crowdfunding and peer to peer lending. No other organization in this universe that is a true crowdfunder can claim to have facilitated over $1.5 billion in loans in the form of over 15,000 individual loans to more than 12,000 businesses. The numbers are simply staggering. While their projected annual return on investment of over 7% will not make you a billionaire any time soon, it is a highly respectable and, perhaps more importantly, actually believable return on investment in the crowdfunding space. This commanding crowdfunding platform is one of the largest on earth and the leader in the peer to peer small business loan niche market. With tremendous transparency and disclosure, reasonable 1% management fees, and projected returns in excess of 7% after fees and failed loans, this presents a very real opportunity to invest in U.S. business loans, assuming that you are an accredited investor. Provides greater dollar valued business loans than any crowdfunding rivals at $500,000. Offers you the chance to invest in U.S. business loans and notes. With its international involvement in not only Britain, but also Germany, Spain, and the Netherlands, the potential for international investments exists. 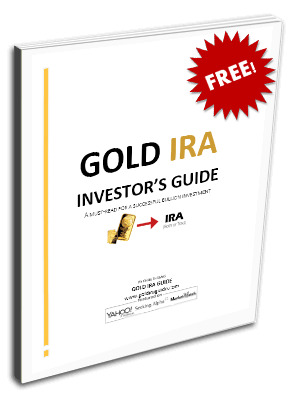 Allows for traditional and Roth IRA investing. Secured loans means that if you want to borrow, you must post significant collateral against the repayment of your loan. Only Accredited investors are able to participate. Management fees are reasonable at 1% but still higher than some rivals.